Living with his wife in the local Lagoinha community, 52 year-old Messias Gomes da Silva walks an hour from his village to the Guapi Assu Reserve. 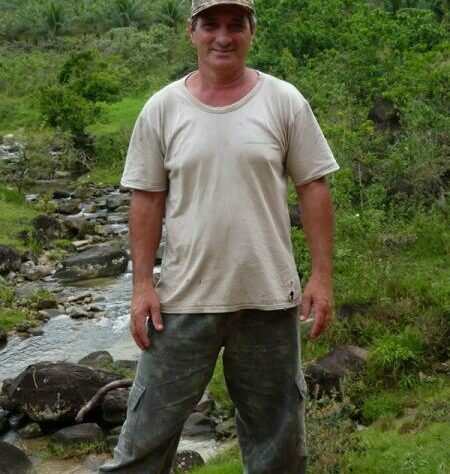 Here Messias works as a reserve ranger, helping protect over 18,000 acres (about 7,284 hectares) of Atlantic Rainforest in south-east Brazil, nestled on the slopes of the Serra dos Órgãos mountains in the coastal state of Rio de Janeiro. 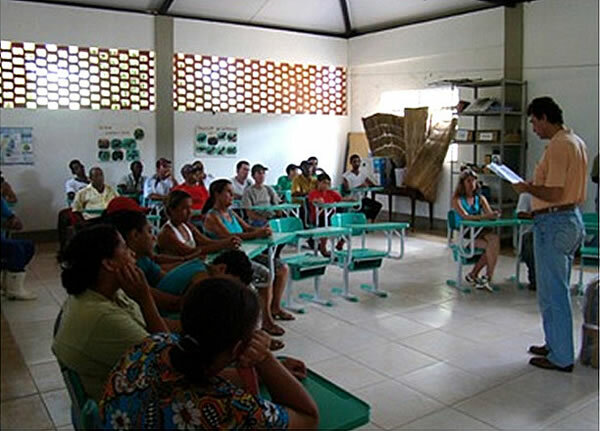 The Guapi Assu Reserve is run by REGUA (Reserva Ecológica de Guapi Assu), a World Land Trust (WLT) partner organisation. Through the Keepers of the Wild appeal, WLT is helping to fund wages and resources for Messias and two other REGUA rangers. Visitors learn about REGUA’s work during an Open Day at the reserve. Photo © REGUA. Showing how the natural world is interdependent helps people understand the importance of protecting wildlife, dispelling many commonly held prejudices about perceived dangerous or unimportant animals. Messias is one of three rangers at REGUA to be funded by the Keepers of the Wild appeal. Money raised by BIAZA member zoos and the 2010 Royal Parks Half Marathon is supporting these rangers. Help REGUA continue successfully protecting parts of the Atlantic Rainforest and its wildlife by supporting a ranger through a donation to the Keepers of the Wild appeal.